Hi! The Moderators and Administrators of Psychcentral wanted to let you know a bit about who we are and what Psychcentral has meant to us. Initially, most of us came to Psychcentral just as you have. We came looking for answers, support, understanding, relation, or some comfort with the issues we face in our lives. Individually, we want to share a bit about ourselves, so that you might know who we are, and that we're "here", making ourselves available by volunteering our time. Please don't hesitate to Private Message any one, or all of us, if you feel the need for added support, understanding or have questions! We thought it would be a great idea to replace the original thread that appears to have been lost in the system. For the "official" stuff, please check out my online biography (there's a lot of info there!). That's my life in a nutshell, but what's not there is that I have two older brothers, both married with children (2 nephews, 1 niece), and my wife has two younger sisters (2 nephews, 1 niece!). My parents are alive, but divorced (only about 10 years ago). My dad's remarried, my mom not. I grew up and was raised in Delaware, where my family still resides (in and around the Newark area). I've lived north of Boston for the past 5 years or so, and work at a full-time job unrelated to psychology in Manchester, NH. In my first year of grad school, my childhood best friend took his own life because of a girlfriend issue... that was in 1990. When I got connected again with the Internet in 1991 (I was using it in college, but not for anything really mental health related), I used it to help me deal with my feelings of grief and depression surrounding my friend's death. Once I discovered how helpful and simple it was to use (I could log on when *I* wanted to, had time, and write, respond, etc. to the support group), I thought a lot more people would be interested in this stuff (if only they could find it). That's what led me to start cataloging and indexing the mental health resources online in 1992. In 1995, two things happened. One, I put all of the online resources I was indexing and maintaining onto a website called "Psych Central: John M. Grohol's Mental Health Page." After publishing this site in early 1995, a company in the behavioral management/accounting software business saw the work and wanted me to do something similar but on a larger scale. That led to my work in creating Mental Health Net, the world's largest mental health resource in the late 1990's. After doing that for 4 years, I moved on to drkoop.com, and then a startup that was never launched. In 2000 I joined HelpHorizons.com, an e-therapy clinic startup in Boston. That lasted about a year, but I and a few others keep the site running as a small side business. Throughout the past 10 years, I've been actively maintaining and adding to Psych Central, building it up slowly in my free time. It's now one of the top 10 mental health sites online, and has one of the largest thriving online self-help support communities. The rest is pretty much history! I've been a part of PC for a few years now and it's been great. I feel honoured to be part of a great team of moderators and administrators here. I stumbled across this site back in February 2006, and I've been here ever since! I'm 24 years old, and I live in Ontario, Canada. I have my Bachelors degree in psychology, and am currently pursuing a Social Service Worker diploma in college so I can go into a career helping others. I was born with a physical disability (Spina Bifida) and I use a manual wheelchair. That doesn't slow me down at all, and I love being able to educate people about my point of view and my life experiences as a 'disabled' woman. I've been in counselling for various issues (self-esteem, self-injury, and depression to name a few) for three years now. It's been rough at times, but overall I can say that finding PC and starting to discover who I am as a person (and admitting that I needed some help) was very beneficial to my growth as a person. I love to volunteer and give some time and effort to different organizations and causes, so I love to be here where I can give back to the community. I love to read and whenever I'm not studying, I'm probably on my computer, watching tv or a movie, or spending some time with my friends and family. I *really* love animals and being outside. I love to laugh, listen to different sorts of music (I have eclectic tastes), and I love to write and paint. I'm not entirely sure what else to say here, but if you ever want to ask a question - please do! I will hopefully be able to relate some personal experience, or help you find any answers you're seeking. I'm also always willing to listen if you need someone to talk to. My PM box is always open and I love hearing from people! Last edited by Christina86; 10-11-2010 at 11:01 PM. Reason: update! Hi. My name is darkpurplesecrets, known as dps, a moderator here. I have been here at PC for 3 years, (really longer but had to change my name once). I am disabled and trying to finish college to get my Psch degree. I have 3 children and 5 grandchildren. I have DID which I am currently working through childhood trauma. It takes time to work through this, as it is a daily struggle. I have been in therapy for a long time but I have really made forward movement over the past 3 years. I also suffer from Depression, an eating disorder, PTSD, and OCD. This all comes from childhood and my adult life, and I am working on it and getting better. PC has made a difference in my life and I am so grateful for this site and everyone here. I am a chat leader and I love helping out others as it helps me. Being here daily and reading, supporting, encouraging, and sharing with all of you has been such a blessing in my life. Giving to others and hearing from all of you is what PC is all about. Reaching out to others has helped me to understand myself better. Knowing we all are walking this path to recovery together makes it a little easier. Sometimes we walk together and sometimes we reach to help someone who is struggling or just beginning. Each person here is important, and we are not alone but walking together to give one another hope and support. What one person says can help the next and I have been helped by so many of you that I want to give back whenever I can. I appreciate you all and care very much. I have learned in giving we receive. I love being here for others and doing what I can for you all here at PC. Trying to be sure PC is safe for all members is our goal. We each make up PC and without us all, we could not be a community. I look forward to serving the community and am here for you. If you need anything I will do my best to help. 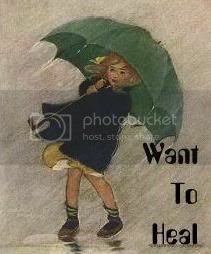 Hi, I'm wanttoheal and I've been here at PC since 2005 when my friend Kimmydawn said come check this out- it's great! I've been here ever since and I have to agree with everything she said. I love being here and helping out where I can. PC has become my home away from home and I love being able to interact with and meet new people. When I first started here, it was all I could do to post a hug to people because I was so afraid of everything. Over the years, I've become braver and am starting to heal. If you ever need help or an ear to listen, PM me and I'm happy to help in any way that I can. I discovered PC over 3 years ago when I started to have some pretty bad symptoms that I didn't understand. PC helped me to start facing these problems, and gave me a place to go as my problems got worse. At first I was shy and really was unable to offer much more than hugs, but I've learned so much since coming here. Since then, I've experienced different levels of major depression, dissociation, anxiety, self injury and some smaller eating related problems. I have been officially diagnosed with depression. It took me a while to find a therapist who works for me, but it's been worth the wait. I've been doing a lot better than a few years ago. I love this community. It has been one of the most important parts of my recovery and is still a very important place for me when I'm having trouble coping. I'm glad to be a moderator so that I can give back just a little to this wonderful place. Q: What should you do if called by a panther? Q: What should you do if PM'd by a moderator or administrator? That was the good part; now for the boring details. I had a miserable time in school and with my family of origin but felt better the farther I got from both. I had two years of therapy and it did seem to make a difference eventually, but I'm not sure I could say what the difference was. I've never been officially diagnosed with anything or if I have, no one told me about it. Some unreliable sources once told me I was schizoid. At the time I was afraid they might be right but now if I am, I don't seem to find it a problem. I got an absurdly low Sanity Score but I don't know if that means I'm really sane or really in denial. I once scored close to the line on a test for Asperger's, neither quite with it nor quite without. Most of my friends seem to think I'm a good friend, most of my neighbors seem to think I'm a good neighbor, most people I've done any work for seem to think I'm a valuable resource, and overall, I'm having a good time. Anyone still awake and reading? Just checking. A friend had been coming here since about four years ago and inviting me to join them but I didn't actually take them up on it until about two years ago. I liked the quality of the conversation here; everyone was interested in pretty much the same subjects I was, such as how to deal with whatever might be bugging us at any given time. One of the best parts for me was that, unlike other online communities I'd been at, the conversation wasn't always getting drowned out by religion, politics, and nasty arguments. I've made some really great friends here. When I was invited to join the team, what scared me the most was that I didn't think I could do nearly as good a job as I'd seen being done during my first year here. About all I can say is... it's been one of the most interesting learning experiences ever. I struggled with addiction for a long time, with periods of sobriety and multiple relapses, but have now been sober since Mar. 4, 2012. I'm really proud of that. I also struggle with major depression and have been hospitalized for that 3 times. I also have PTSD. I've been a member here since 2006, and came here on the recommendation from someone at another self injury recovery site. I love the wealth of information and caring that is here. Between the bad economy and MH and addiction issues I haven't worked full time since 2010. So fall 2012 I decided to go back to school and retrain as a forensic accountant which is a growth area. I did very well. But in January 2013, I had a major crash and landed back in hospital. Since then I've decided not to look for work full time, and instead focus 100% on my recovery. I'm doing a lot of therapy which is exhausting but I feel like I'm finally making progress. I'm supporting myself with my retirement savings and a part time job testing software. I plan to go back to school in January 2014. Feel free to pm me any time.